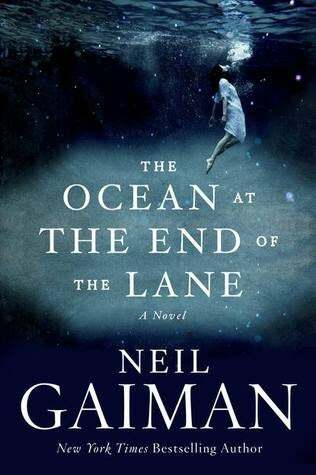 I finished Neil Gaiman's The Ocean at the End of the Lane yesterday; started reading just after I bought it. (Kept reading out of necessity.) (Biased opinion: read it! It's brilliant. It's a remarkable story.) Non-spoilery review is copy/pasted from my goodreads (unless you want to read it knowing nothing, which is what I did). Neil Gaiman strikes again with a wonderfully written short novel. At the least, it is a pleasant tale in which children must overcome an evil clawing at their lives. At its best, it is a story with layers showing an adult's reflection on childhood, the hardships of remembering the past, the subtleties of the relationship between adults and children, and the longing to escape into myth even when such myths are trying to kill you. It is a fantasy tale set in the real world. A story in which the two themes blend in such a way that only a child imagines possible, where adults wouldn't believe a single word, and the fiction morphs into a believable myth. Throughout, it longs to recall a time of childhood exploration, of hiding under the bedsheets reading, of making new friends and discoveries, and of feeling vulnerable while being brave. It shows, through the eyes of an adult, what it was like to be a kid and what it means to discover new things and fight monsters.